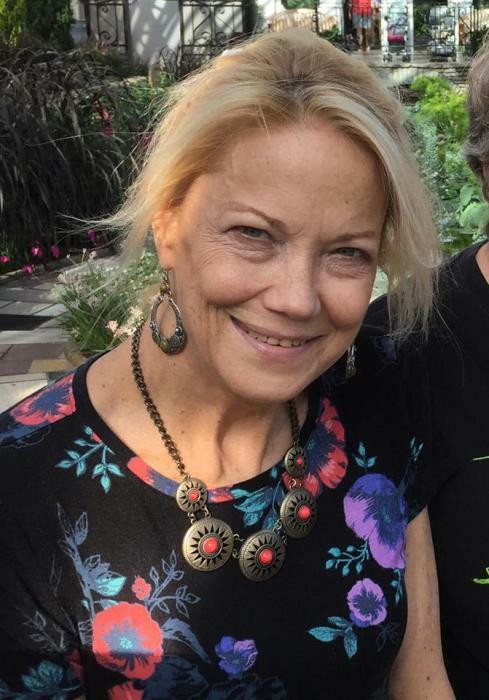 Lori Ann Green, age 59, of Eagan, Minnesota, passed away peacefully on March 26, 2019. Visitation with the family will be held on Sunday, June 30, 2019 from 2-3 PM with a service at 3PM at Johnson Funeral Home in Thief River Falls. Lori was born in Minneapolis, Minnesota, on September 10, 1959; was baptized and confirmed at the Thief River Falls United Methodist Church. Lori graduated from Lincoln High School, Thief River Falls, Minnesota, in 1978. Following high school, Lori attended Northland Community College for a short time before moving on her first big adventure to Salem, Oregon, outside of Portland. Lori had many wonderful memories and friendships from her time in Salem. Lori moved back to Minnesota, in the mid 1980’s, spending the rest of her life in West St. Paul and Eagan. Lori Ann Green passed away at the Ebenezer Care Center in Minneapolis, Minnesota. Lori’s health was dramatically improved and her life was extended by a double organ transplant (kidney & pancreas) in 1997. She was blessed with 21 years of healthier life as a result. She was always grateful to the University of Minnesota transplant team and her wonderful doctors. Lori’s passion for music, art, animals, creative art, to name a few, sustained her. Her dog, Bennie, was her constant companion for many years. Lori worked many years in the restaurant industry and was proud to have been a part of many restaurant openings in the Twin Cities. She is survived by her mother, Marjorie (Blevens) Green, formerly of Thief River Falls, Minnesota; brother, Carter & wife Beth Green of Stony Point, New York; sister, Sarah (Green) & husband Terry Lockwood, of Spicer, Minnesota; nephew, Neil & Angie Kranz Lockwood, of Cambridge, Minnesota, and their children; and two nieces, Elicia & Eric Borowick, and their children and Makayla Shepherd all of Wyoming, Minnesota; and many cousins in Minnesota and Indiana. Lori was preceded in death by her paternal grandparents, Olger & Agnes (Westman) Green; maternal grandparents, Jesse & Onie (Fielder) Blevens; her father, Orin J. Green; aunts and uncles, Howard & Nina Blevins, Helen (Blevens) Summers, Marvin Blevens, Allan & Elayne (Green) Sandahl; and nephew, Nick Lockwood. A service of remembrance with a visitation will be held at the Johnson Funeral Home, Thief River Falls, Minnesota, at a date yet to be determined in June. Interment of ashes will be at Greenwood Cemetery, Thief River Falls, Minnesota, with a scattering of some of her ashes back in her beloved Oregon. Date of service to be posted at www.andersontebeest.com. In lieu of flowers, memorials are preferred in Lori Green’s memory, 1) to your local hospice, 2) LifeSource, 2225 West River Road North, Minneapolis, MN 55411, 888.5.DONATE, www.life-source.org; or 3) Ebenezer Foundation C/O Ebenezer Care Center, 2722 Park Ave. South, Minneapolis, MN 55407. Funeral arrangements by Anderson TeBeest Funeral Home of Montevideo and Johnson-Green Funeral Service in Thief River Falls. May Lori’s memory be blessed.